Want to quickly sober up after a hectic party? Now this is not a problem, especially for the people of South Korea. Local manufacturers have released the world's first ice cream that can fight the symptoms of hangover. At least, technologists who invented this miracle of gastronomy say so. 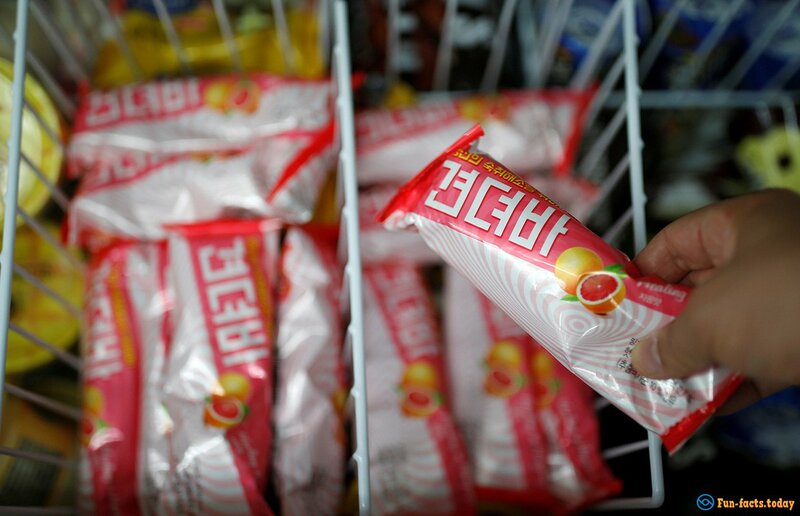 Ice cream against a hangover called Gyeondyo-bar (which translated into Russian means "Be strong!") Is available immediately. Therapeutic dessert is a semblance of fruit ice with grapefruit flavor, containing ingredients known since ancient times for their ability to neutralize the harmful effects of alcohol consumption. The composition of the ice cream included Retreat 0.7% juice, also known as the candy tree. According to the books on Korean medicine of the 17th century, it is the most effective remedy against the side effect of alcoholic drink offerings. And in an article on the pages of magazine Neuroscience from 2012 it is said that scientists have noticed the ability of ampelopsina (effectually substance contained in the plant extract of candy tree) to reduce the symptoms of intoxication at rats. It should be noted that South Korea is among the top most hard liquor drinking countries in the world, and in Asia it is the leader in the amount of alcohol consumption per capita Therefore, treatment of alcohol withdrawal syndrome in this country is a profitable business.